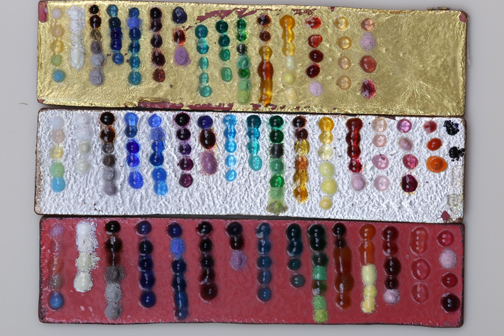 Enamels on Different Metals-What A Difference. What a difference in the brilliance of the color. You can use foils to your advantage to get the enhanced color you are looking for. Gold foil makes colors have more yellow. Copper will warm colors up. Silver will make the true color and sparkle. You can add foil anywhere is your jewel. If your base plate is copper add a small amount of silver foil to make a little sparkle with your favorite color of enamel.